Posted on November 13, 2014 by staceyanderton1	in Features and tagged #socktober. 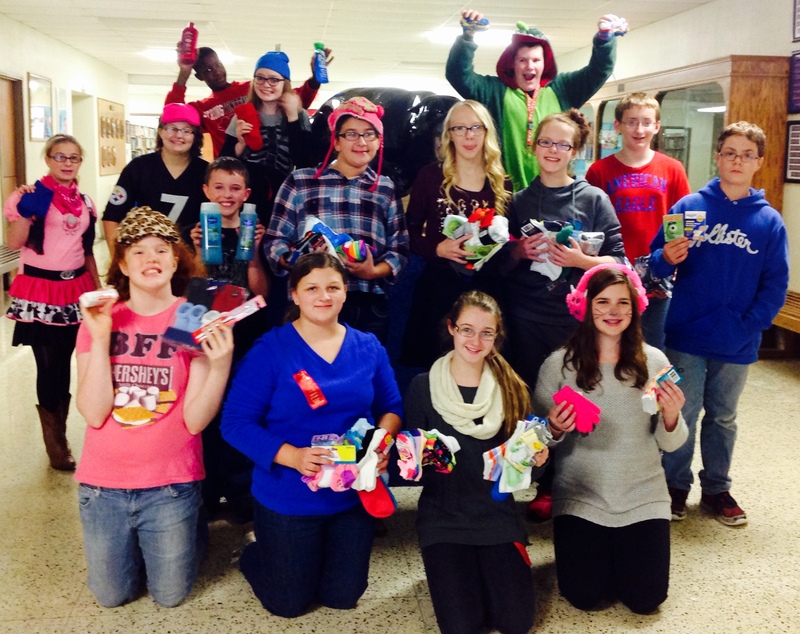 Eighth grade students collected items for Women’s Services as part of #socktober. “Kid President is so profound I can’t even take it,” said eighth grade student Charlie Johnson. 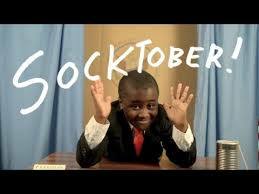 He was referring to internet sensation Kid President, the “self-appointed voice of a generation” and the person responsible for the #socktober movement to collect socks and other household items for people in need. Over thirty of the junior high students participated in this event, collecting socks, toothpaste, hats, gloves, deodorant, shampoo, and other items for Women’s Services of Meadville. Kid President can be found at http://kidpresident.com. kicked out of their homes, taking nothing with them but the clothes on their backs. “It will really help the women and children in need this winter,” said Rose Hilliard from the Women’s Services of Meadville when she received Socktober donations from Saegertown Junior High. Hilliard was grateful for all the students who participated, and she noted that Women’s Services is always accepting donations, which can be dropped off at 204 Spring Street in Meadville. To learn more, visit http://www.womensservicesinc.com.